Auto Body Shop and Car Repair | Southfield Chrysler Dodge Jeep Ram " "
We all strive to be perfect drivers. But, we know that you can’t always avoid accidents-no matter how safe you are on the road. While you’d rather not think about it, we’d like to let you know that the Southfield Chrysler Dodge Jeep Ram Collision Center has your back. Our specialists are masters at the art of erasing any signs of dents, scratches, broken windows, windshields, and more. In fact, you might get compliments on your ‘showroom new’ vehicle after our work is done. 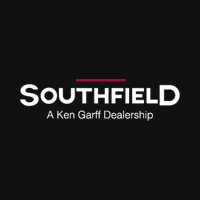 To reverse any premature signs of aging on your vehicle, schedule an appointment with the Southfield Chrysler Dodge Jeep Ram Collision Center. We are conveniently located at 21535 Telegraph Road in Southfield-just a short drive from Bloomfield Hills, Warren, Detroit and Troy, MI.